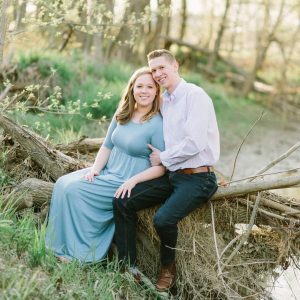 Why are brides seeking out Henderson, Kentucky as their wedding location? Brides are seeking style on a budget, charming cities that are easy to navigate, and rural towns within close proximity of bigger cities. 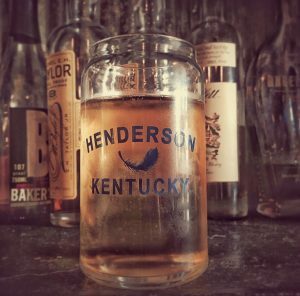 Henderson has a great hospitality industry and is steadily attracting the attention of brides near and far. If you are planning a DIY wedding, this article is a great starting point for planning your destination wedding in Henderson. There are a variety of very unique venues that can accommodate small and large wedding guest lists. Are you looking for a rustic and romantic venue? We recommend Farmer & Frenchman Winery. Do you envision a venue surrounded by nature, architecture, and art? Then you must check out John James Audubon State Park. How about a lodge venue with modern and rustic accents? Check out the new Lodge facility at BIAC. Looking for a large indoor space with catering and full bar service? The Ramada has a 4,000 square foot ballroom with crystal chandeliers. Henderson has unique indoor and outdoor venues that will add personality to any wedding. To see a list of all local venues, visit our venues and meeting space page on our website. There is one place in Henderson where brides must go to shop for a white gown. 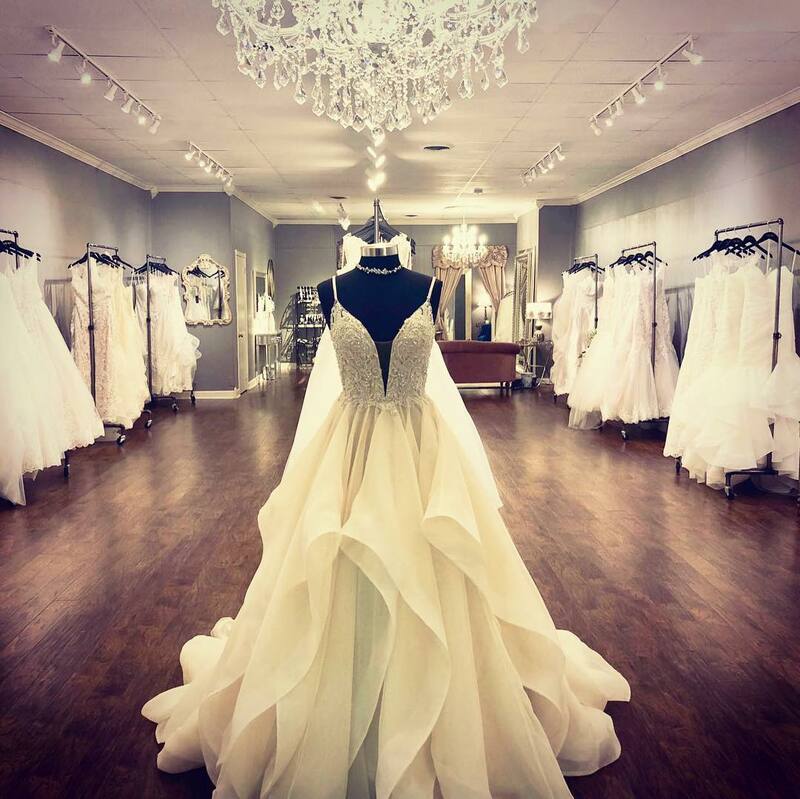 Opulence Bridal is a brand new bridal gown boutique located on Henderson’s historic Main Street. Opulence not only has gorgeous gowns, but they also have a stunning boutique that makes a great atmosphere for shopping. They have a variety of affordable luxury gowns that range from about $800-$3,000. Opulence’s designer selection is very intentional. They carry designers that brides would not find in other nearby cities and bridal shops. And for a limited time, if brides book a 2018-2019 appointment by December 31, they can receive $200 off of a wedding gown purchase. This locally owned boutique is a must-stop shop, and brides should definitely visit here if they want a stunning and unique luxury gown. Appointment inquiries can visit Opulence Bridal’s Facebook page at this link. Complete your wedding party attire with bridal and formal wear and accessories from Pem’s Gallery Gifts and Bridal. Pem’s is a staple for all formal wear, especially weddings! If you are looking for anything that sparkles or shines, Pem’s Gallery Gifts and Bridal has it. Pem’s place isn’t just for the ladies. Grooms and groomsmen can get fitted and arrange tux rentals at Pem’s too. Pem has years of wedding experience and is very active in the Henderson community. She even hosts a radio show with wedding planning tips and advice, which you can check out on her Facebook page. Even if you think you have your entire wedding planned, pay Pem a visit, and she will make sure all the items on your wedding checklist (even the things you might forget) are taken care of! One of the biggest feats to planning any weddings is marking catering off the checklist. If you plan to have both your rehearsal dinner and reception catering done in Henderson, there are a variety of options to choose from. We recommend starting with this list of local restaurants that advertise catering: Rookies Sports Bar & Restaurant is close to downtown and offers catering on-site (and occasionally off-site). They have three event rooms, the largest of which can accommodate up to 150 people. 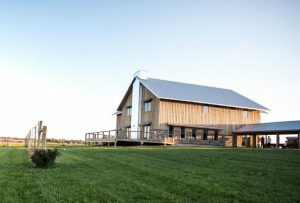 Farmer & Frenchman Winery also has multiple event spaces at their venue. The largest indoor space accommodates up to 170 people. Farmer & Frenchman recently added on-site and off-site catering services as well. A new restaurant that offers on-site catering for rehearsal dinners is Hometown Roots. 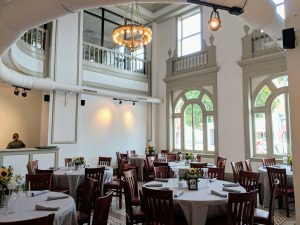 Hometown Roots’ Gatsby Room is a great size for a rehearsal dinner and is also located centrally in downtown Henderson. Feel free to discover more local restaurants on our website’s dining page to see what other local places you can contact about catering. If you are looking for a traditional wedding cake, groom’s cake, or just a cake that will feed a ton of people, there are a couple of local Henderson options to provide your cake needs! 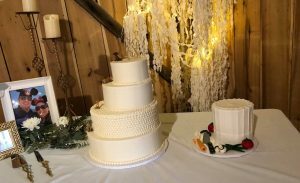 HallieCakes in Henderson County creates beautiful custom wedding cakes and really fun and unique cakes that would be great for a groom’s cake! As seen in Kentucky Bridal Magazine, HallieCakes can do traditional tiered cakes and even trendy wedding cupcake options. All her cakes are covered in buttercream icing and fondant accents can be added as well. If you are looking for a large, great tasting cake that will feed a lot of people, be sure to check out Golden Glaze Bakery’s five flavors of sheet cakes. They are great for serving large wedding parties. Or if you would like to do a doughnut bar at the wedding, Golden Glaze is known for doughnuts, too! Make your special day extra beautiful with flowers from Henderson’s skilled florists. J’Petals florist Jayme Floyd has over 10 years of experience and is a local favorite for bridal bouquets and large events. 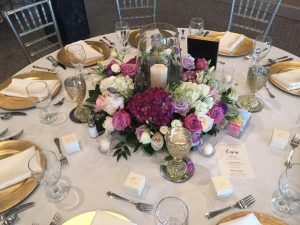 Decorate your rehearsal dinner, engagement party, groomsmen’s boutonnieres, or stage your engagement photo shoot with arrangements from Shaw’s Flowers, T.P. Flowers & Gifts, or A Day To Remember Flowers. Photographers love staging engagement photos in Henderson because of the diverse scenery, architecture, and natural landscapes. Downtown Henderson is filled with historic buildings and small-town charm. Some great downtown spots to consider for your photoshoot are the stone steps of the Public Library, the gazebo at Central Park, or near the mural at The Perch on Second Street. If you want nature to be your backdrop, Sandy Lee Watkins Park and John James Audubon State Park have plenty of wide open spaces. The museum at Audubon State Park also has beautiful French architecture that makes for a romantic engagement photoshoot setting. For the wedding receptions that continue in the late hours of the night, it is essential to have overnight options for wedding guests. For out-of-towners that want a quaint and charming place to stay, brides can direct guests to one of our Bed & Breakfasts: Victorian Quarters, Farmer & Frenchman, or L&N Bed and Breakfast. 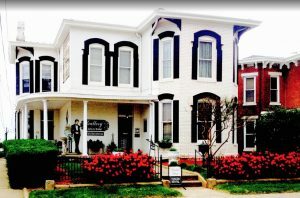 Each of Henderson’s B&B’s has excellent hospitality and unique Henderson story to tell. 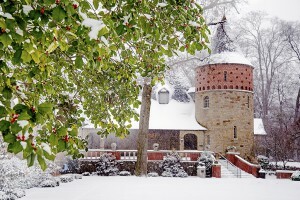 Another quiet and unique place where overnight guests can stay is John James Audubon State Park. The State Park has six cozy cabins located in the heart of the park. It is a great option for guests who enjoy outdoor activities and exploring Henderson’s attractions while in town. Of course, Henderson has many hotels that can accommodate larger numbers of guests. Discover how easy wedding reservations can be by visiting our lodging page. Most of our hotels can offer deals for blocking off rooms in advance. Let the Henderson Tourist Commission add the finishing touches to your wedding. We offer gift shop discounts for brides that will be ordering Henderson items in bulk. Our canned pint glasses or shot glasses are great gifts for bridesmaids and groomsmen. We also have a great selection of apparel, drinkware, and accessories that are great for completing gift baskets, thank you gifts, and Welcome Kits. If you are planning a wedding on a budget, ask us about how we can provide free information, guides, and itineraries for your out-of-town wedding guests. Visit our online gift shop to browse our Henderson merchandise selection.